This fabulous event will be held at Dantes Restaurant from 07:00 am until 09:00 am. Come and meet a wide range of businesses, small and large, different professions and get your 2017 moving at speed, with the one of the best business support networking groups in the area. 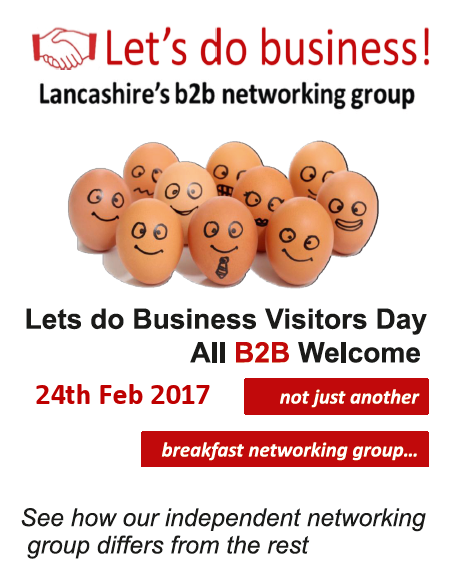 If you are a B2B business and would like to attend could you please email info@letsdo.co.uk as soon as possible before 17th February 2017 to ensure your place is reserved. P.S. if you ask one of the members, they’ll probably find you a free breakfast voucher – full English, no less, probably the best network breakfast in the area!